Meanwhile, on the other side of the state…. Got calls from my brothers Chris and Matt this afternoon.. Mom’s not doing well. SO not well that they determined a trip to the ER was in order. So, at this moment, that’s where they are. Tests, tests, measurements, assessments and tests. I’m glad for that. All of this has to do with her need these days for supplemental oxygen, and what happens if she doesn’t get it. In the last two days, two mishaps have occurred with her oxygen line, both resulting in periods of time off the O2. As a result, her O2 levels got way too low. Not good. She’s been in and out of lucidity all day, and very weak. So Matt made the decision–always a tough one where my mom’s concerned–to call the paramedics. When she’s in a moment of lucidity she’s feisty and annoyed and is making it clear she does not want to be there. I know, I just heard the exchange she was having with the staff while I was on the phone with her. Did I mention the US Open Tennis Championship began today? Where she would rather be is at home with a glass of wine, watching the Open and cheering on her guy Djokovic. As always, our dear, dear friend Betsy is on the case. It is a crazy gift from the gods to have a lifelong family friend who is the head ER nurse at your local hospital. It’s been a tough afternoon, made worse by the distance; so good to have a couple of brothers there AND Betsy. 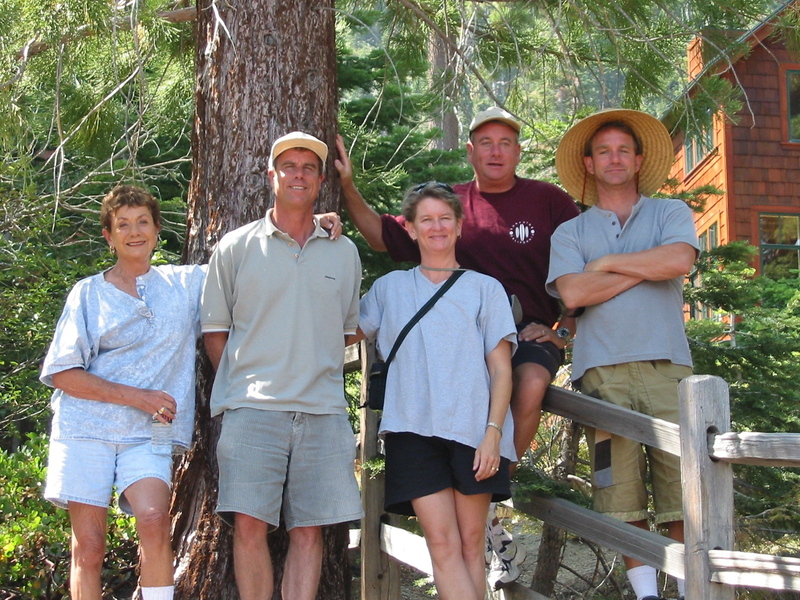 I grabbed this photo… mom and her acorns, thirteen years ago. It was a weekend celebration of my aunt Ellie’s 70th birthday. It’s amazing, everyone looks very much like they do today, except mom, who’s changed monumentally from the time this picture was taken to now. I do like seeing the fullness and vitality in her expression. Mom, Jay, me, Matty, Chris.